I am no Olive connoisseur, in fact I don't really like them (shock, horror) But my kid loves them! So when I came across fresh olives still in there raw state at the Earth Fair market (farmers market) the lovely stall holder insisted I should buy some fresh olives and make some olives at home. I was perplexed and said I didn't know how and don't really eat them but the lovely lady assured me that it was very simple and easy to do. 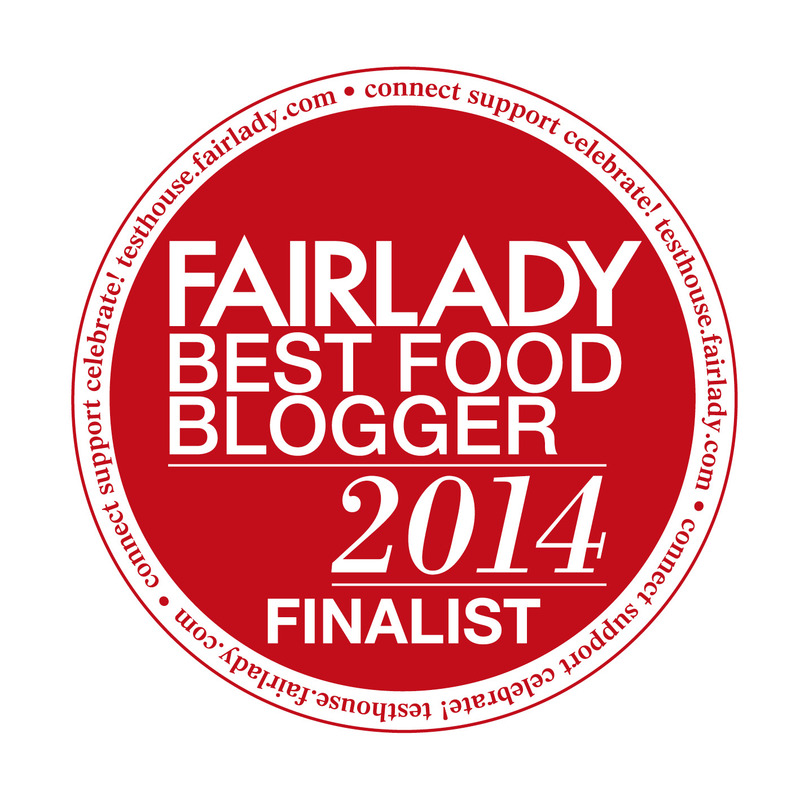 She talked me through the process and handed me a recipe with my purchase of a bag of kalamata olives. I was skeptical that it could be that easy but also trusted the lady opinion so with some hope I headed home to soak my olives and wait and see after 6 weeks if she was right. This is how I did them... apparently the results are good. 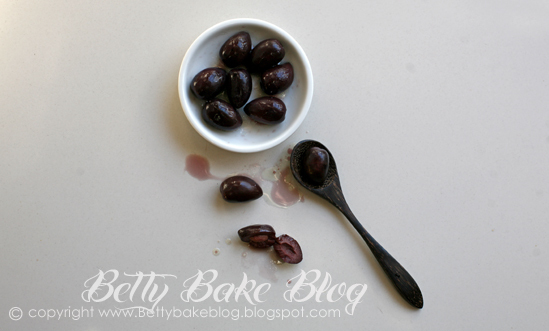 Wash the olives rubbing them lightly in a large bowl or container and leave to soak for 24 hours (don't rub to hard you don't want to bruise them) This is just to get all the dust off them and any stubborn dirt. Mix up your water and salt to make a 10% brine solution. For every litre of water you use 100grams of salt. Mix the solution then pour onto your olives. Make sure that your olives stay under this water at all times while they are curing. Please note a moldy gunk will grow on top of the water - this is perfectly normal and your olives are not off!!! Promise! After 6 weeks - take out an olive rinse off and taste if ready rinse them all off but if not leave for longer checking every few days/ once a week. 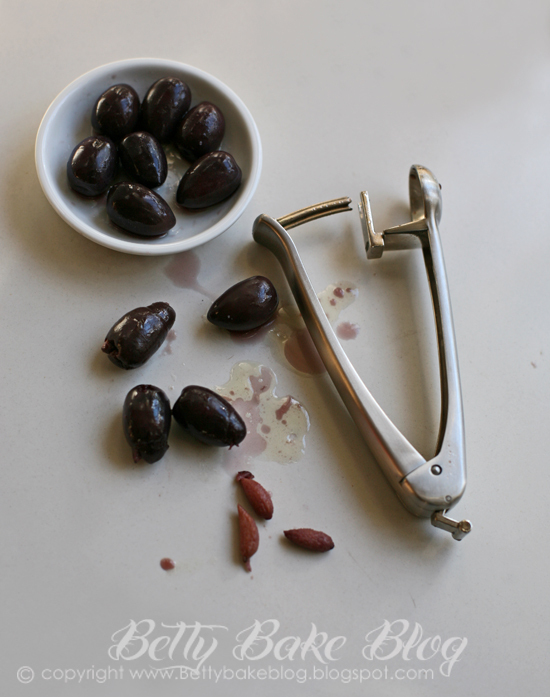 When ready rinse the olives off and leave to dry on a clean surface for 3 - 12 hours. They will get dark - almost the colour they were when you bought them. Mix up a 6% solution - 60 grams salt per litre of filtered water. Place olives in clean jars and fill with the new brine. 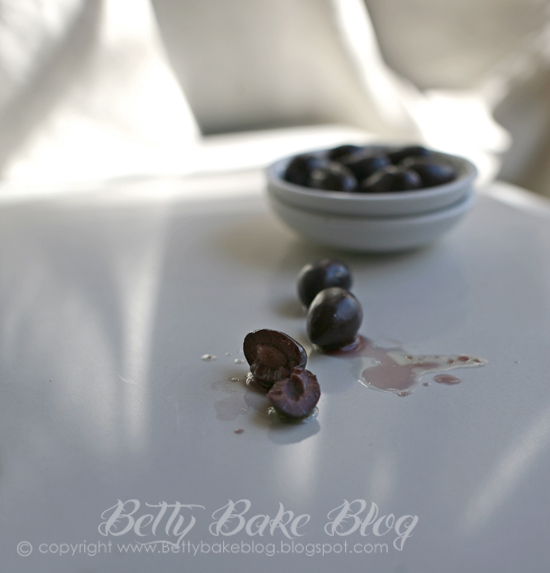 We had our first harvest of olives from our trees this year and your recipe is a LOT easier than the ones that we found. Ours needed to be rinsed twice a day for 14 days or something stupid, then bottled with herbs, water and vinager for 2 months.... we are still waiting to find out what they taste like. 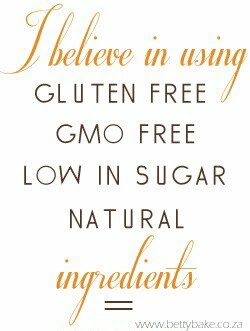 sounds like a lot of work! well done on having your first olive harvest - how exciting!!! Great post. 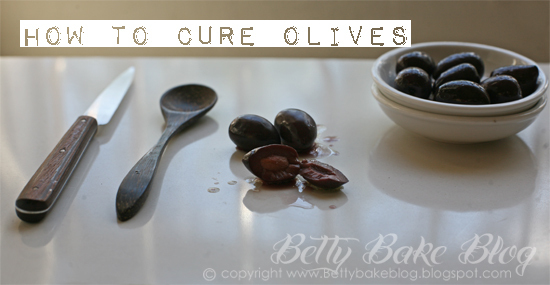 Interesting to read this method of curing olives, which is different to the method I used recently to preserve all 12 of my home grown olives. (Yes, 12, one dozen little gems that I didn't want to waste!). I am not that keen on olives either, but there is something yummy about a few slices of olive on a pizza and I do like the ones stuffed with anchovy too!